As team rosters for the 2014 Sochi Olympics are announced we'll break down the rosters for the top competitors in the tournament and list some of the notable omissions from their squads. Finland is actually the most successful country in terms of medals won at Olympic ice hockey since the NHL has been sending players in 1998. With a bronze in '98, a silver in '06, and another bronze in 2010, Finland's the only team that can say they've won 3 medals in 4 Olympics although they haven't been the colour they're looking for. While they never have the strongest team on paper going into tournaments, you can never underestimate Finland in hockey because all they do is compete. This will be Mikko Koivu's team and Finland is hoping he will be back in time following ankle surgery earlier this week. The Finns will be looking for offence from Valtteri Filppula who already has 18 goals this season and Jussi Jokinen who has 32 points in 46 games with the Penguins. Finnish postage stamp hero, Mikael Granlund, will also be looked upon for offence and we hope he scores another high wrap goal. The ageless Teemu Selanne who at 43-years-old will be making his 6th Olympic appearance should be pumped to represent his country one last time and we're hoping he goes out in Finnish Flash fashion. Plenty of new faces on this Finnish squad as many forwards retired or moved on to disappear in the European leagues. With only 14 Finnish forwards in the NHL the Finns looked to the KHL for 3 players and the SM-liiga for one player up front while opting to leave Sean Bergenheim off the team despite being a pretty reliable forward for Florida. He's the only noticeable omission from the NHL as Ville Leino doesn't belong on this team, or any NHL team for that matter. Koivu decided early on he wasn't going to play at the Olympics and concentrate on his NHL season with the Ducks. It's honourable in what is likely his last year, but Finland could definitely use him, especially if his brother can't play. Timonen and Salo look to be the top pairing on this team and will be tested against other countries top units (who wants to bet that Salo gets hurt?) With no huge stars on the backend, look for this team to play smart defensivelt while blocking plenty of shots to hang around in every game with a chance to win. With 4 NHLers and two pairs of KHLers/SM-liiga, the Finnish blueline will be a mystery with a mixture of veterans and rookies hoping to shut down the opposition. Joni Pitkanen will be missed on this team that lacks veteran blueliners but we'll be lucky to see him in the NHL again with his broken heel suffered on an icing. The World Junior OT hero, Ristolainen, could have made this team based on his World Junior performance alone, but for consistency you have to give the rookie nods to Maatta and Vatanen. 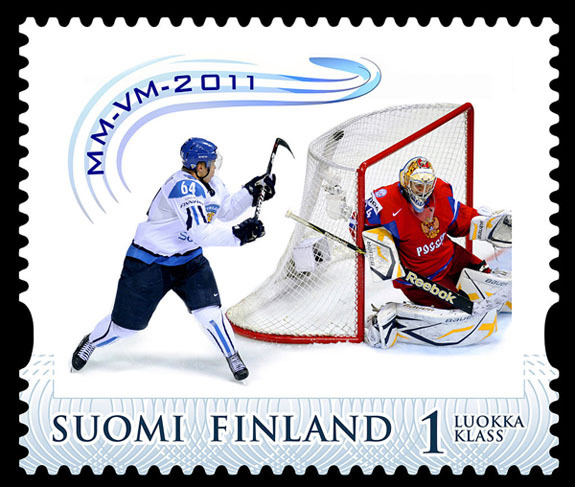 Ristolainen will be a staple on the Finnish blueline for many Olympics to come, and for his gold medal winning goal he might even find himself on a stamp while the Olympics are on. Finland will have elite goaltending no matter who gets the call in Sochi with Tuukka Rask and Antti Niemi expected to battle it out for the starting role. Both have Stanley Cup rings and are always near the top of most goalie stat categories. If there are any injuries, Kari Lehtonen is no slouch and could step in and help to win some games. No real surprise here. Take the top 3 Finnish goalies in the NHL and you're good to go. Backstrom has faltered and lost his starting job to Josh Harding while Kiprusoff called it quits in the offseason. Pekka Rinne is still dealing with injuries and has barely played this year so omitting him is not really a snub.